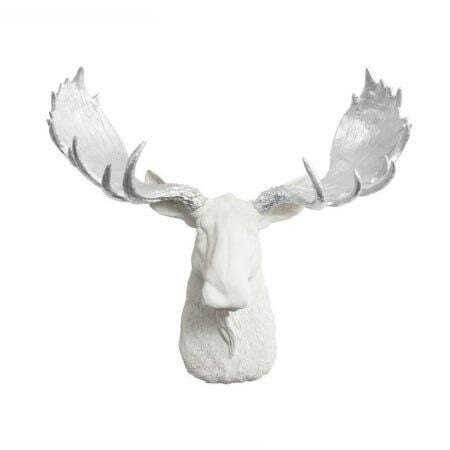 This large white Moose head has beautiful silver antlers. A chic way to add style to your home this faux taxidermy head is cast in a light resin making it easy to hang. Measurements: - Measurements are 20" tall x 23" wide x 8" deep.